They say that being a mother is the greatest job a woman could have. While the experience of motherhood is something that is not the same for every woman: some experience it early in life, while others (like me) take time to go through it; the worries and concerns of a woman towards her offspring and her spouse is the same. Am I doing enough? Am I giving enough? AM I ENOUGH? Motherhood, they say, is when your heart beats for your child and your spouse, and almost barely for yourself. It is pure, selfless and harrowing at times. Where 24 hours is barely enough think about the chores at home, the times you need to spend with the husband and even plan about the kid’s future. 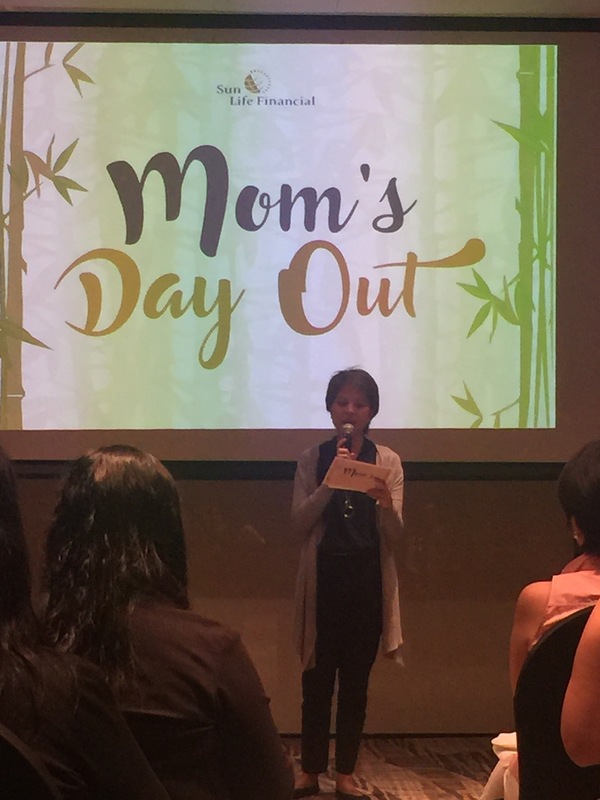 That is why “Mommy’s Day Out,” a recent event of Sun Life Philippines, gives recognition to a mother’s selfless love by devoting one full day of pampering, learning and self affirmation to mothers. The event, attended by mommy bloggers and online influencers, began with a lecture headed by Michelle Alignay, a family psychologist specializing in family studies. 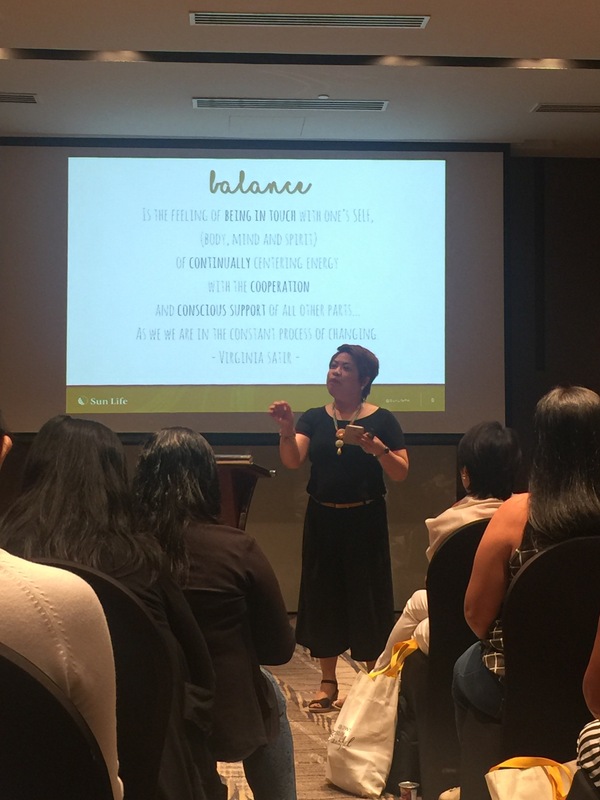 During her lecture, Alignay shared some key points and powerful affirmation techniques to the attendees on how they can balance being a mom, being a wife and being their own person all at the same. This particular piece hits closer to home for me. As a wife, career woman and a person of many interests and side hustles, I can’t even barely make time for my supportive and loving husband. Imagine adding kids to the equation? I wrote before of my struggles in conceiving and how there are times, I am thisclose to giving up on having kids. While my heart always breaks into thousand pieces thinking of what could have beens if only parenthood came naturally to us after marriage. I would have a sassy grade schooler by now, who probably inherited his father’s winsome features and his mother’s stubborness; I would have been frazzled to heavens trying to balance career, family life and my interests/hobbies; I could have been saving up for that danged kid’s education and future. Thankfully, Alignay’s lecture on devoting time for yourself, making your marriage work, and preparing for your family’s future is something that even I, can relate. Her message about devoting time for the husband, and making your marriage work strikes closer to home. For me and the husband, we have our movie nights where we geek out on superhero franchises and action movies. We also make it a point to travel together, which allows us to discover new things, not only about the places we go, but also with each other. We talk our plans, our dreams and our struggles as a couple. When talking about future kids before felt like discussing about landmines because of our fertility struggles, we have become more open on how we still want to have kids, regardless on the process it will take. It can either be through science (we have yet to explore other more advanced methods) or maybe through adoption. While going through the adoption route is still a long way down the line, it’s still something we seriously consider. No matter how the future kiddo gets handed to us by life, the husband and I agree on one thing: we want him to have a good future. One where he can explore his full potential and get the best education possible, without being hampered by financial concerns. If my future kid wants to explore UP or go to Keio or Tokyo University, who am I to stand on his way? During the event, Sun Life Cluster Head Mylene Segismundo shared potential tuition costs to some of the country’s best universities 10 to 15 years down the line. To say we were flabbergasted is an understatement. The cost of education has become so expensive that, as a parent, you have no choice but to prepare for it. 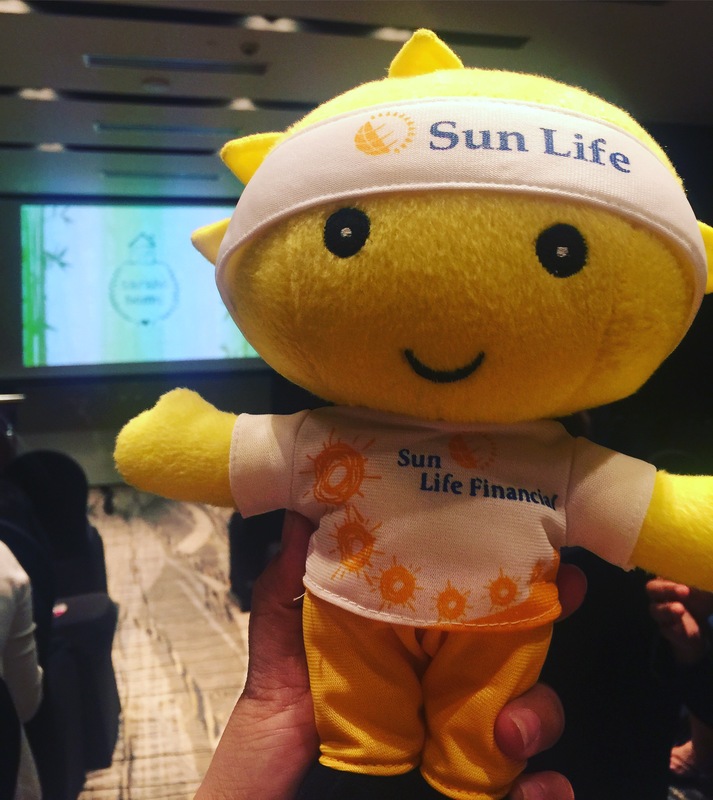 Segismundo shared that Sun Life’s “MyFutureFund” provides parents the capacity to get ready for their children’s education without breaking the bank and without putting dent on their wallet. More importantly, “MyFutureFund” removes the worry of being able to provide for a good education to their kids from mommies and daddies. 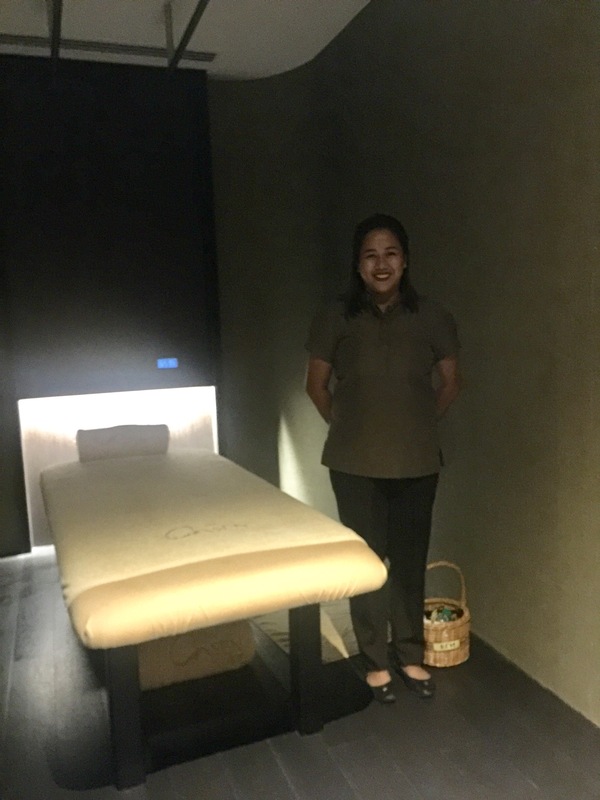 Admittedly, the highlight of the day was the oh-so-wonderful full body massage generously arranged by Sun Life for the mommies and bloggers present. The venue was the beautiful, luxurious Onsen Spa at the I’M Hotel. With every knead and pressure applied on my body, I can literally feel my stress, worries and all the bad vibes literally melting away. It was soooo good. Onsen Spa at I’M Hotel does a good job of bringing the Japanese/Korean onsen/jimjimbang experience and I am loving the long yukatas, the darkened rooms with piped-in music and yes, the free-flowing green tea served on the spa reception area. I must have dozed off because the next thing I know, my friendly massage therapist, Rem lightly tapping of my shoulder. A sumptuous dinner at I’M Hotel’s Bloom Restaurant proved to be the perfect way to cap the evening. I’d like to thank Sun Life and their friendly PR guy AR for having me during the event. I am not yet a mother, but I am a wife and career woman who also have the same struggles like any other woman thrust into family life. I may not have kids as of yet, but I still worry about their future. As reflected on the short film, “She Says, She Says” – I worry. I worry that I may not be good enough, or ready enough when they come. I worry that I might not become a good mom. I worry that I will become one of those mommies who nag and helicopter-parent and work, but still fail to provide for their needs. I worry that I, myself, might not be enough. But thanks to the learnings and realizations of that day, I know that I will be okay. 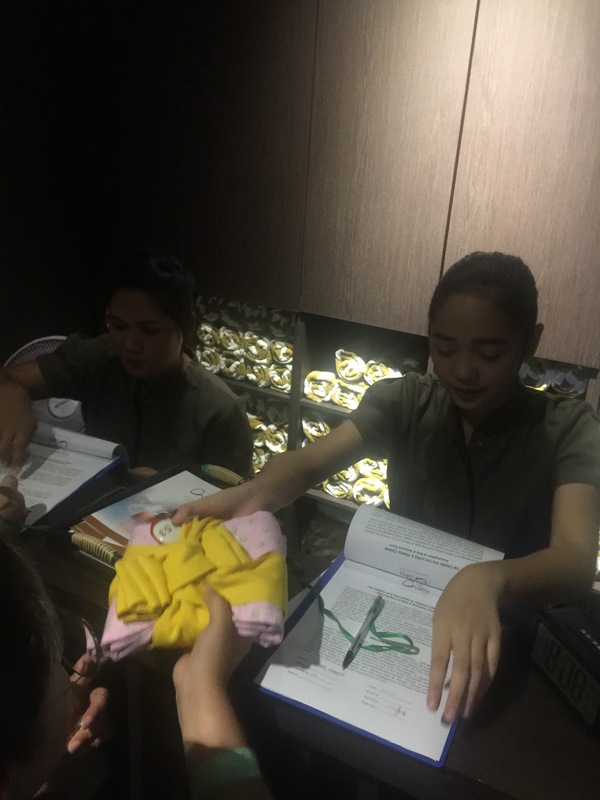 Me and Sun Life, we can make motherhood work. When I was younger, I thought finding a home would be as easy as 1-2-3: you look at the ads, you do ocular and if you have the money, you go right in and discuss payment terms. 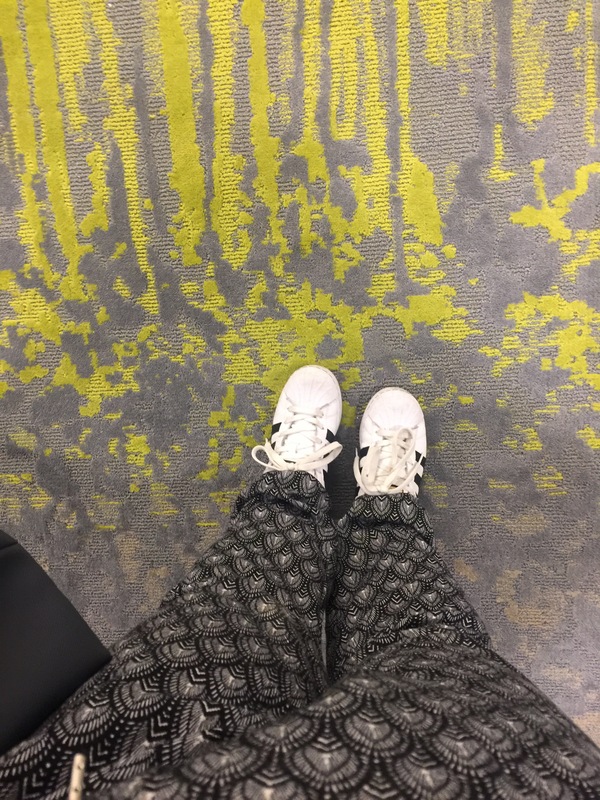 It’s not when I started to seriously consider investing on a place of my own that I have come to realize that home ownership is not as easy it it sounds. More than getting the money and the finances to sustain your investment, what’s important is for the future home owner to have a clear view on what you want it for? Is it a starter home? An investment piece intended to augment the cash flow? Will it be a family home, where you will be staying for a long time? 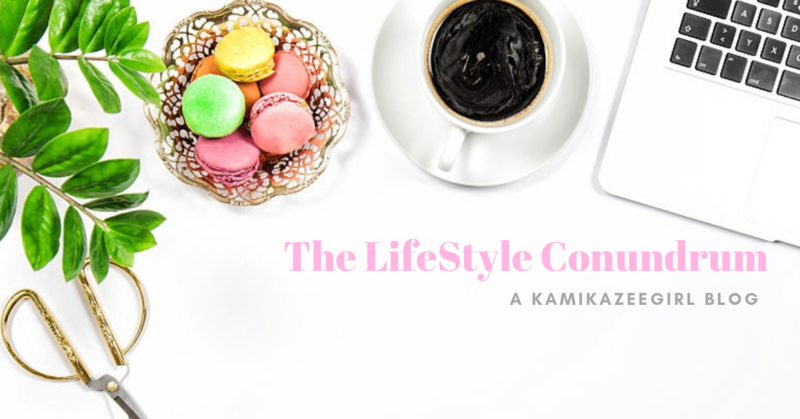 Once you have that out of the way, you need to think about the amenities that the condo offers and how it complements your lifestyle. If you’re the type who loves physical activities like sweating at the gym or swimming – you wouldn’t want to live in a place with no swimming pool or a basic gym right? 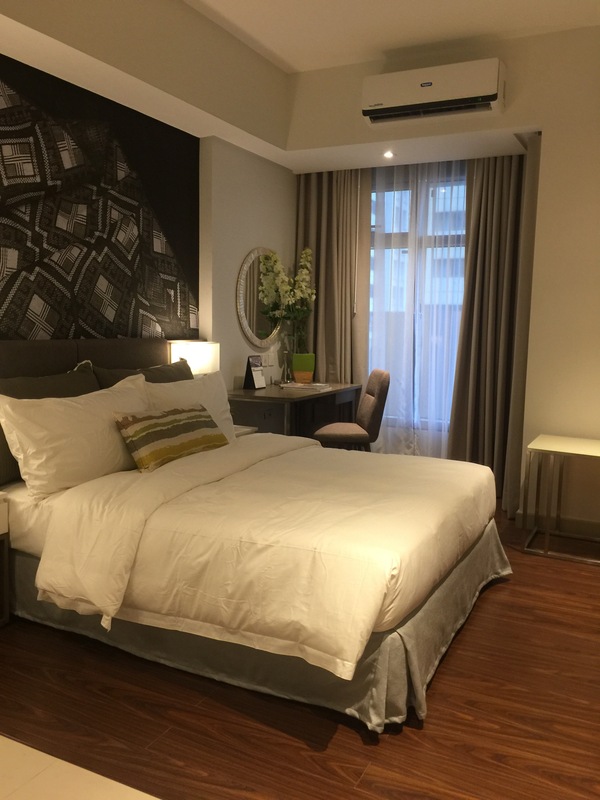 The latest project for of CDC Holdings Inc, together with The Ascott Limited, aims to provide an intelligent and practical choice for future homeowners and business minded individuals intending to expand their real estate portfolio. 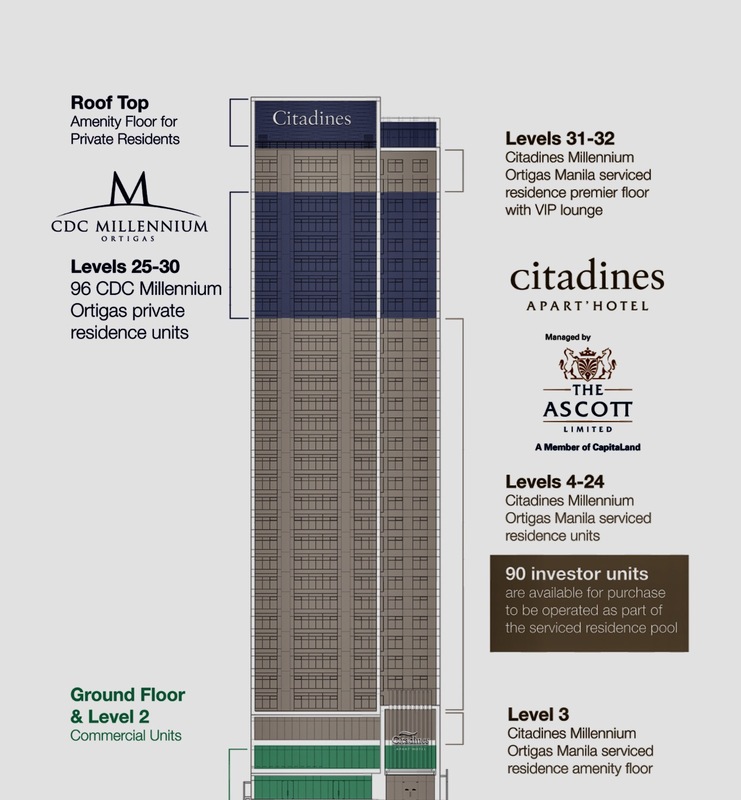 This latest property rising in the heart of Ortigas offers two varying aspects of city living: as a world-class serviced residence called Citadines Millennium Ortigas Manila under Ascott’s Citadines’ portfolio and as the latest addition to CDC’s affordable but classy condos under the CDC Millennium Ortigas name. The secret is by delegating floors 4-24 as serviced residence floors while levels 25 to 30 are for private residence units. Both functions will have a separate entrance and amenities ensuring privacy and security for residences and guests alike. 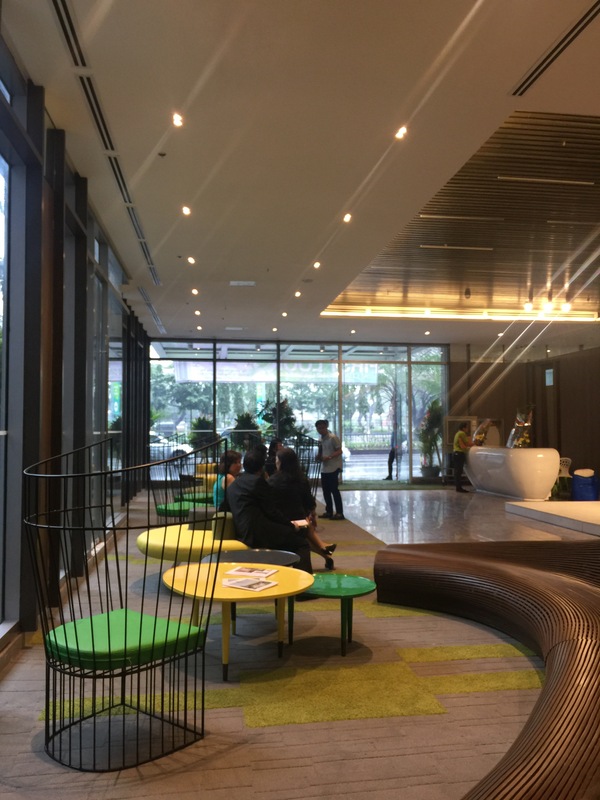 As Citadines Millennium Ortigas Manila, the property hopes to attract long-term guests and tenants working for the expatriate community as well as families who love staycations. 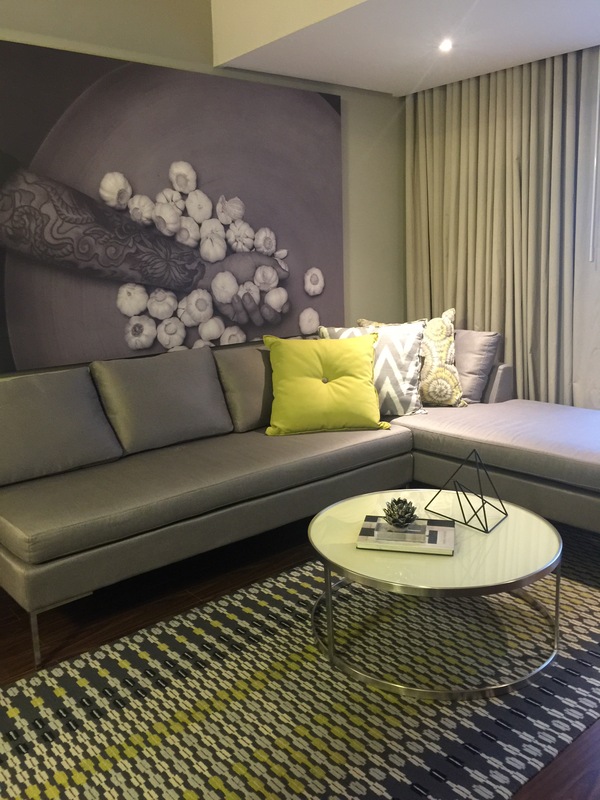 Another thing that sets this property apart is it’s environment friendly design and aesthetics. 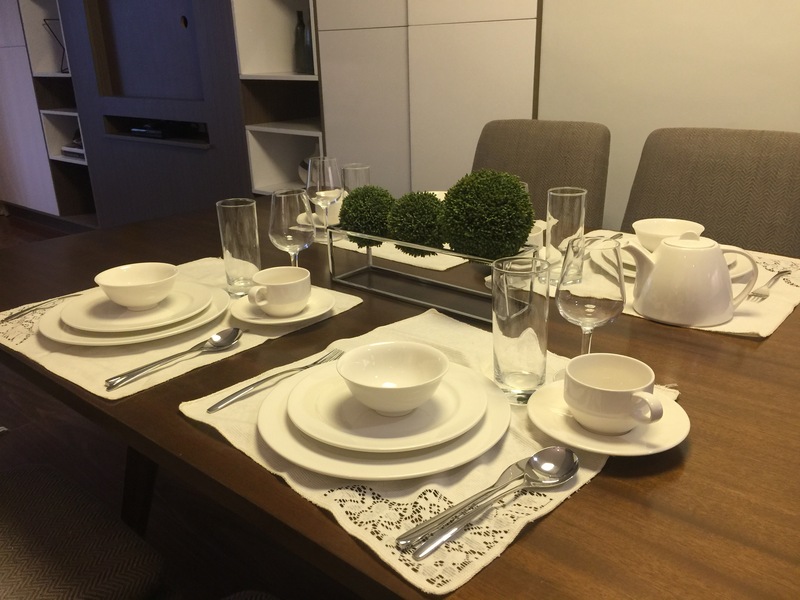 We had a front row seat as CDC and Ascott unveiled this latest property during the formal turn over of the Citadines Millennium Ortigas Manila. 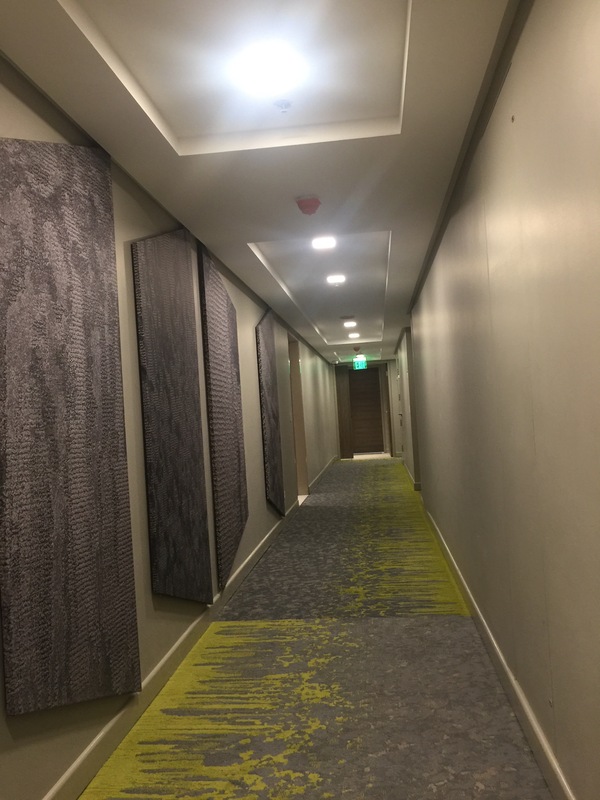 Comfy, chic chairs and lounge sets decorated the lobby which carried the green and gray interiors as manifested by the carpet which extended up to the hallways. 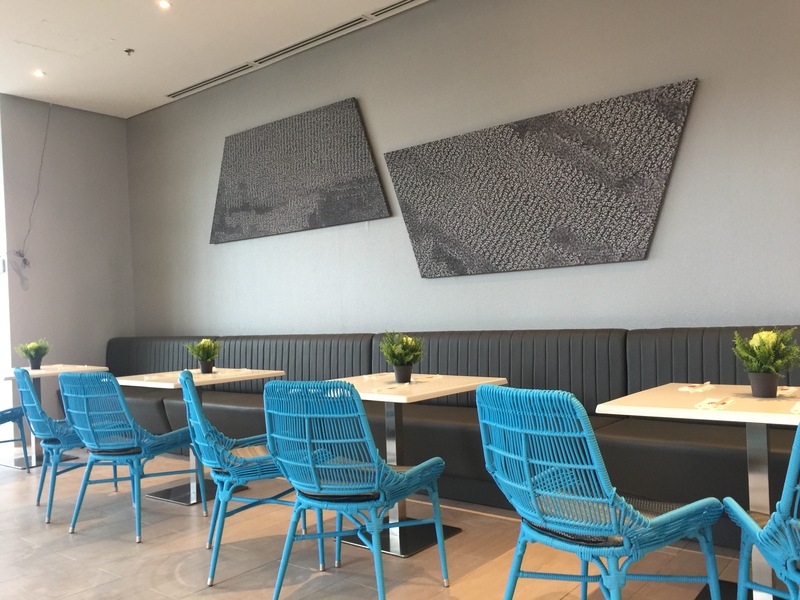 I, for one, loved the brilliant mix of minimalism and chic styles plus the touch of Filipino influences scattered all throughout the property. If you are thinking of extending your real estate portfolio, the Citadines is definitely a good choice.